Remy King, the 19-year-old action heroine of Amanda Hocking‘s Hollowland, is a fascinating character who grabs the reader’s attention from the first page. When the government safe-haven she lives at is overrun by zombies, Remy picks up the guns of fallen soldiers and joins the battle. She’s not just fighting for herself, she’s also fighting for her 8-year-old brother Max, the only other member of her family to survive the zombie apocalypse. When she finds out he’s been spirited away to another safe-haven, she heads out to find him. Remy’s no-nonsense kickassery in her quest to rescue her brother moves the story along at a brisk pace. The supporting cast of characters, including a washed up rock star and Remy’s pet lion, Ripley, are entertaining and interesting. The obstacles they find on their path keep the tension high. The underlying message, which Z.E.R.O. has seen firsthand throughout the years, is the importance of familial bonds. Remy’s dedication to her brother is beyond admirable. No matter how slim the odds, she keeps focused on her mission to find him. Hocking’s action-packed, young adult novel is thrilling for all ages and is worth the read. Did I mention it’s free on kindle? Click Hollowland (The Hollows, #1) to get it at Amazon. 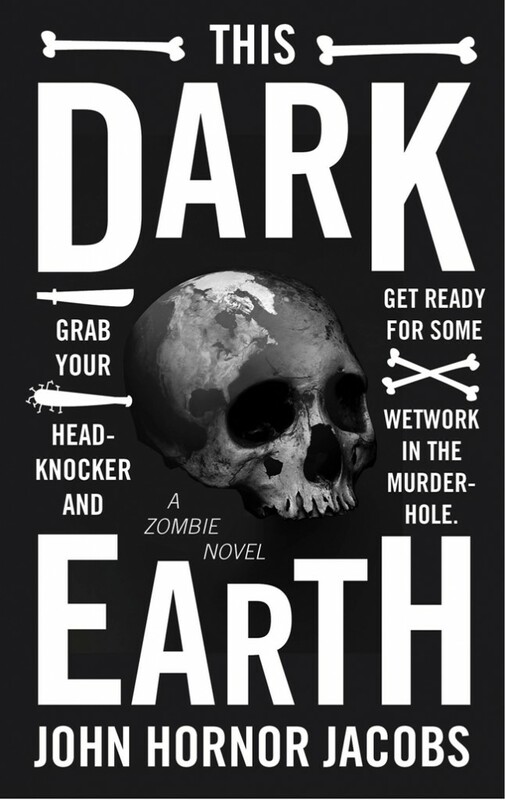 This Dark Earth, by John Hornor Jacobs is a beautifully written tale that doesn’t serve to provide any illumination on zombies. Instead, Jacobs shows how people are the ones to be feared in an apocalypse. When the infection presents in Dr. Lucy’s waiting room, soldiers show up and start executing the infected and the normal. She’s chased by a gunship as she tries to make her escape from the hospital, then an electromagnetic pulse wipes out all electronics, followed by a nuclear explosion. No expense is spared to try to contain the outbreak, but, like cockroaches, Lucy and a truck driver named Knockout survive. So do the zombies. The shamblers, or zeds as the zombies are called, serve as moaning, groaning, objects to be killed in between more important concerns. They are dangerous only because there are so many of them. Though the people in this novel form groups to increase their chance of survival, the undead actually form “damilies,” a foursome or more of zombies that travel and kill together, “Almost as if there’s something in them that they remember about being human.” Even so, the people in this bleak, bloodthirsty novel don’t explore this phenomenon any deeper than to note it and move on. The sheer, utter hopelessness of survival is what keeps this story grinding forth. Though I found myself rooting for the humans, I questioned my decision as I watched the last living members of the human race fall into the habit of conflict rather than cooperation. At the end, I felt more for the zombies as they mindlessly tried to survive in a hostile world than the people who seemed determined to mess it up. Buy This Dark Earth at Amazon. I, Zombie by Hugh Howey is not a survival book. It is not a “zombie” book. It is not a grim look at those individuals fighting for their lives as the world is plagued by zombies. There’s no redemption, no survival, and worst of all, no death. Rather than focusing on the survivors, Howey tell the story through the thoughts of the infected. Their minds intact, they shuffle through the world horrified by their actions but unable to prevent them. The zombie horde is diverse – a single businesswoman, an addict, a tourist couple, a young girl in search of a friend. Each traveling through the world in search of human flesh and redemption. Reading this brave book, one once again realizes that in the zombie apocalypse, man will be his own worst enemy. The zombies, existing as powerless passengers inside their zombified bodies, have their own issues and problems. Much like we at the Zombie Emergency Relief Organization have found in our work with orphaned zombies, below the rotting flesh lies destroyed hopes and never to be realized dreams. I, Zombie is a dark book. There is graphic language and disturbing images. Readers who prefer traditional zombie novels will be challenged by the subject matter of I, Zombie. That being said, I, Zombie presents a powerful story that few authors have tackled. The anguish of the zombies will stick with you long after you are done with the book. “Brains, A Zombie Memoir” by Robin Becker is unique in that it goes beyond the standard zombie stereotype and shows the actual zombie lived experience. Professor Jack Barnes, infected with the zombie virus, loses none of his intelligence or reasoning skills, only his ability to communicate through speech. Luckily he has retained his ability to write and he eloquently describes the journey of his zombie family as they seek to exist in a hostile land. Jack’s goal is to convince the creator of the zombie virus that zombies are people, too. To that end, he travels with a crew that includes a zombie nurse, who tries to keep the wanderers in one piece , and a former solider, who has retained the ability to speak and attempts to rally the troops. This fast-paced 182 page story puts a face on the trials of trying to survive as a zombie. Readers will find this book challenges their prejudice against zombies and proves wrong the belief that all zombies are brainless, shambling flesh puppets. 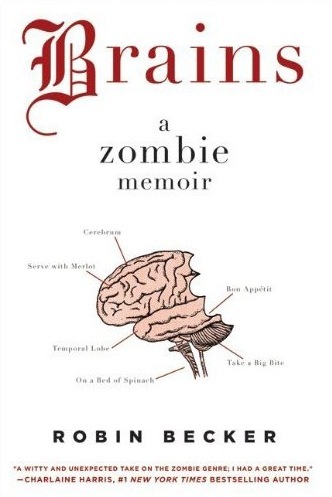 “Brains, A Zombie Memoir” nicely captures the complexities of life for today’s zombies. Click here to get Brains: A Zombie Memoir at Amazon.